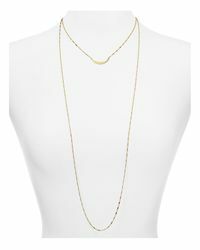 Women's Yellow Pippa Necklace, 16"
See more Jennifer Zeuner Necklaces. We check over 450 stores daily and we last saw this product for $328 at Bloomingdale's. Square Stone Collar Necklace, 16"